JEE Main Question Papers – NTA will release the official response sheets and question papers of JEE Main 2019 April attempt exam after the exam gets concluded. The authority will also be releasing the answer key for the exam which students can use to calculate their estimated score. Candidates would be able to log in using their application number and password/date of birth to access the answers, question paper, and responses. The question papers and responses were available after the conclusion of the exam after April 12. JEE Main Paper 2 will be conducted on April 7 while Paper 1 will be conducted on April 8, 9, 10 and 12. The candidates are advised to save their question papers and responses for future reference. JEE Main 2019 January attempt exam has been concluded. The exam was conducted in two shifts from 9:30 am to 12:30 pm (forenoon session) and 2:30 pm to 5:30 pm (afternoon session). 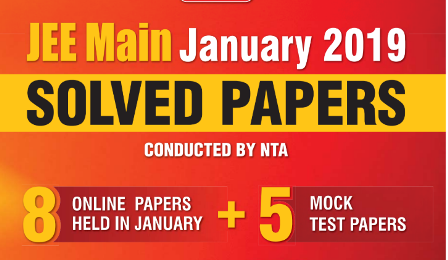 Paper 2 was conducted on January 8. Through the question papers of JEE Main, the candidates will be able to know how the entrance examination is held. Check the following article on JEE Main question papers with solutions 2019 for more information.